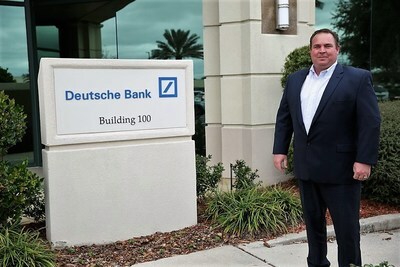 JACKSONVILLE, Fla., Feb. 6, 2019 /PRNewswire/ -- Sean Packer describes his transition from a career in the United States Navy to civilian life both joyfully and painfully. He was joyful in re-engaging with his wife and children, being involved in their daily lives, but he faced the painful reality of needing to find work. He simply didn't know how to accurately represent 20 years of military experience in the civilian job market until he registered with Wounded Warrior Project® (WWP) and got involved in its Warriors to Work® program. Sean served his country from 1995 to 2015 and returned home to his wife and children. "I discovered that trying to get a civilian job was very difficult and doing it on my own felt nearly impossible," said Sean. "At first, I thought this would be easy: I will write a resume, and I'll get a job making good money…or so I thought." Sean found that highlighting what he learned in the military was very difficult in the civilian job market. "Wounded Warrior Project was there to help me help myself," said Sean. "It doesn't work unless you are willing to put in the time as well, and that is what I loved most about the organization." Sean further explained the degree to which WWP staff assisted him with his job search. "Wounded Warrior Project's staff has such an intricate understanding of how company recruiters read and process resumes, and we were able to represent my skills honestly and authentically." WWP staff worked closely with Sean by offering interview tips, conducting mock interviews, and providing advice on how to best represent his experience with the demands and requirements of the role. "I learned to represent my military skills in a new way," said Sean. "I formulated a plan, created a strategy, and studied for this interview." "There is help out there, but you have to be willing to do the work. Believe in yourself, invest in your experience, and do what you need to do to keep moving forward." To help more warriors like Sean, visit https://wwp.news/Donate.